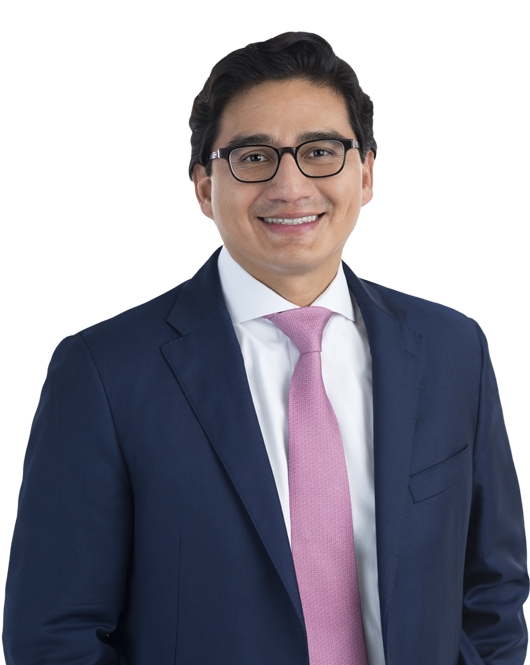 Jorge Castro has more than fifteen years of experience practicing tax law, including a decade of high-level government experience working on domestic and international tax issues at the Internal Revenue Service (IRS) and the U.S. Congress. He is well-respected across the political spectrum both domestically and internationally, earning high praise for his intellect, collegiality, effectiveness, and collaborative approach. His practice focuses on tax policy, regulatory, and compliance matters. He also has extensive experience working closely with foreign governments from all regions on a variety of global tax and economic issues, particularly at the Organisation for Economic Co-operation and Development (OECD). Castro served as Counselor to the IRS Commissioner from 2010 to 2013. In that role, he served as a senior advisor to the Commissioner and collaborated with the U.S. Department of the Treasury (Treasury) on a variety of priority guidance projects, including the implementation of the Foreign Account Tax Compliance Act (FATCA). He advised the Commissioner on tax reform initiatives and legislative proposals and worked closely with senior IRS and Treasury officials to advance the agency's domestic and international objectives. From 2007 to 2010, Castro served as Senior Counsel and Lead Economic Policy Advisor to Senator John D. Rockefeller IV (D-WV), Chairman of the Senate Commerce, Science, and Transportation Committee and a senior member of the Senate Finance Committee. He was lead counsel and provided policy and technical analysis to Senator Rockefeller during the consideration and negotiation of significant economic legislation in the 110th and 111th Congress, including the Emergency Economic Stabilization Act (TARP legislation), the Housing and Economic Recovery Act, the American Recovery and Reinvestment Act, and the Hiring Incentives to Restore Employment Act. Castro advised Senator Rockefeller during the Finance Committee mark-up and floor consideration of the Patient Protection and Affordable Care Act and the Health Care and Education Reconciliation Act, and played a key role negotiating the revenue provisions in those pieces of legislation. From 2004 to 2007, Castro served as Tax and Trade Counsel to the late Congresswoman Stephanie Tubbs Jones (D-OH), a senior member of the House Ways and Means Committee. He advised Congresswoman Tubbs Jones on tax, international trade, pensions, and retirement security issues. In 2010, Tax Notes magazine profiled Jorge as one of the top "Congressional Staffers Shaping Tax Policy." Jorge Castro commented on the U.S. Senate's confirmation of Michael Desmond to serve as Chief Counsel of the Internal Revenue Service (IRS).